With 3 reels, and 1 pay line. 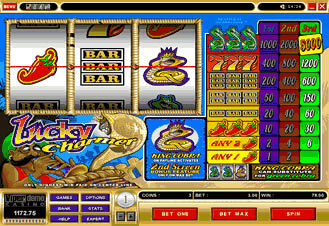 You can bet a maximum of 3 coins, with the coin value set at $1.00. The highest jackpot that you can win here is 5,000 coins. The King Cobra on the third reel also acts as a wild symbol ONLY for the other Cobra symbols. Completing the winning combination.